What would you do if you had to protect a great treasure? Would you keep it in a simple cabinet or deposit it in the most secure bank safe? If the answer is obvious when it comes to material wealth, it should be more obvious when the treasure is even greater: your marriage. Yes, marriage is under attack and it needs to be protected. They married in 1991 and went to live in New York. Over two decades they lived in three countries and gave hundreds of talks in more than thirty, including the U.S, UK and South Africa, always working in the field of counselling couples and families. "Just like one word can destroy a relationship, another can build it. It all hangs on the power of the word. If it's evil, it destroys. If it's godly, it restores and builds up. 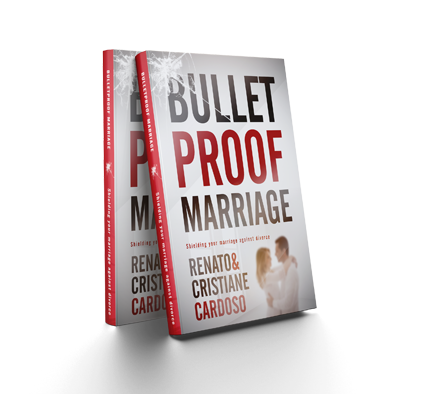 In this book, you will find the right word that will show you the secret to a marriage that lasts a lifetime." author of "Nothing to lose"